type volume controlled digital hearing aid. Fitting via the rocker switch. 4 preconfigured sound profiles 1 Touch. For Moderate to Severe Flat, Slight Slope and Sloping hearing loss. On and Off done through Battery Door, the optimal sound profile can easily selected and adjusted via the rocker switch. 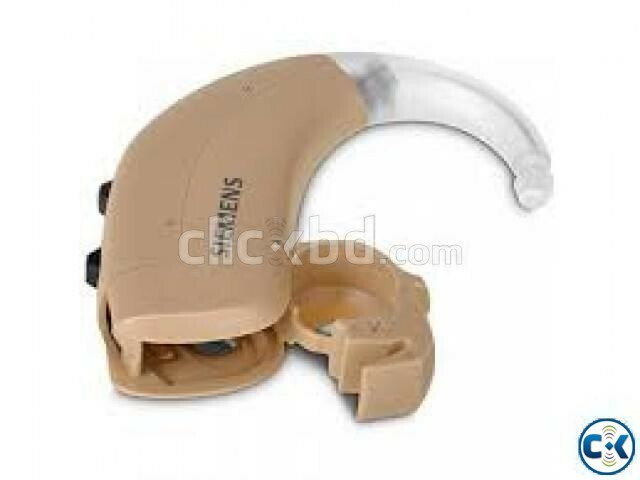 Its other features includes :-Microphone -Picks up sound and improves speech understanding in noise. Rocker switch-Lets you set the suitable sound profile in the fitting process and wearers adjust the volume when necessary. Battery compartment-For size 13 battery in Fun P.
Earhook -Ergonomically formed for greater comfort and a high degree of amplification. Rugged and robust-Fun has been tried and tested in the most challenging environments ? Comfort Coupling-This simple and reliable kind of sound transmission ensures optimum amplification for all levels of hearing loss..